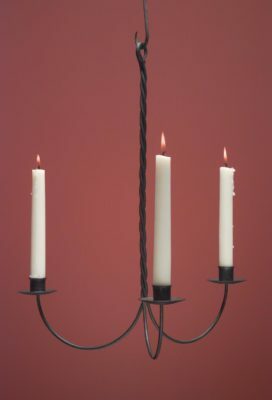 Hammerworks is proud to offer our Wrought Iron Candle Chandelier collection. First & foremost every piece is hand wrought in our own forge. Most importantly our chief blacksmith developed and refined his skills at one of America’s top museums. 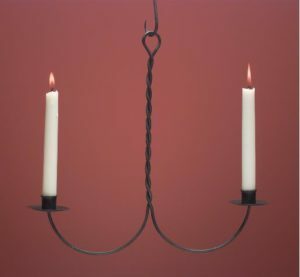 Therefore each reproduction wrought iron light fixture is crafted using the tools & techniques of the original Colonial Blacksmith. In addition, in keeping with the original purpose, the primitive design accommodates candle light only. 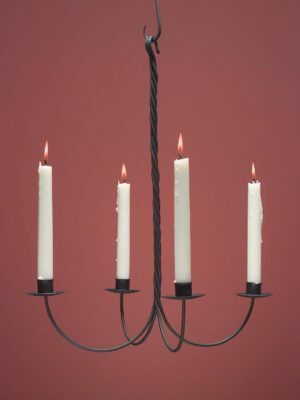 Furthermore we offer these graceful wrought iron chandeliers in a variety of styles & sizes. 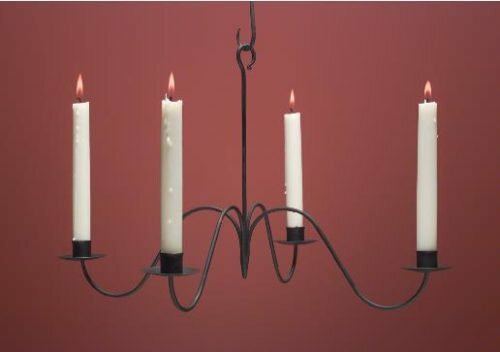 From a simple 2 arm design to a more traditional looking 6 arm, you are sure to find one that is just right.Thus whether you own a Traditional Colonial Home, Reproduction Saltbox, Historic Cape Cod Cottage, Log Home or New England Style Farmhouse, we offer wrought iron chandeliers ideal for you.